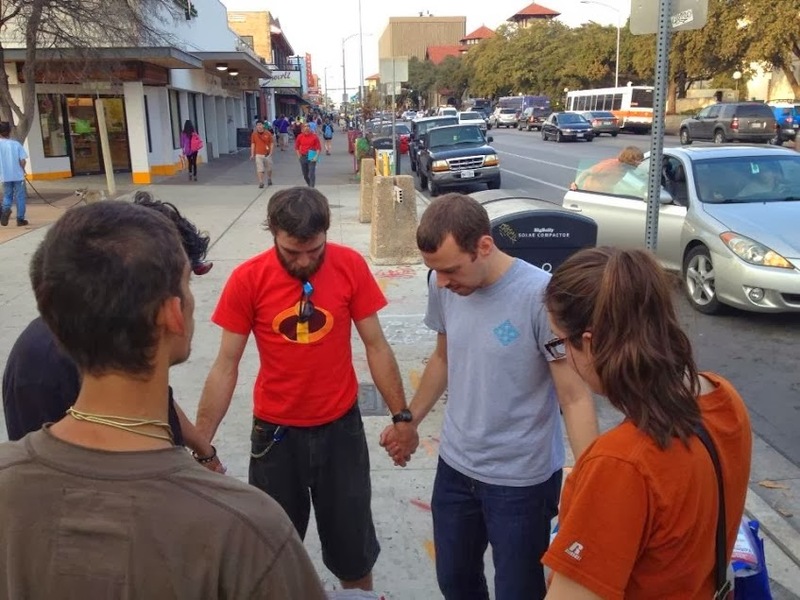 We have ministered to a group of three street youth for some time. We got an update from one. We asked what contributed to his amazing and rapid change. Here’s the deal. This client was as much a handful as any client ever was. One day close to us and cool, the next day pushing us away with all his might, emotions, words and actions. Drugs were involved. Anger was involved. Legal issues were involved. Some would say it was hopeless. But somehow, God’s message of love got through anyway and changed everything. One day he simply left the street. There was no celebration or goodbye or plan. He simply realized he had enough. He accepted help from places he said he would never accept help from. He turned to God in ways he said he would never be able to do. He grew in ways he believed impossible. Today he called to pray for me. He prays that the ministry will always find a way to be there for people who need it. Hard people. Difficult people. People who are not sure about where they are or need to be going. And that we will have the right tools to be there for them. I asked how I could be praying for him, he said, “I need focus.” Focus to maintain what I’ve done and to do it for the right reasons–for God and for my baby coming in a few months. I’m not perfect and I get off track. I pray for focus so I can stay right. Two awesome prayers from a young man that no one would even recognize today. May God bless him in his journey. May God use his past and his experiences in ways we cannot even begin to imagine, to make God’s Kingdom on earth richer, more real, and more relevant here and now. The street has been hard lately. Threats on me, drama and aggravation all around us (a particular drug called K2 is driving a lot of this negative behavior by otherwise awesome people). But heard from a recovering client today. One of those people I’ve known from the start of ministry. He’s struggled, tried all sorts of things, but never quite been able to break his dependence on the street and traveling. He called to let me know he was baptized 2 weeks ago! He’s in a rescue program in Knoxville, Tennessee; training as a chef. He’s doing well but feels an isolation as he makes choices that his friends can’t support or don’t fully understand. He asks for prayers to stay focused and not be tempted to go back to traveling and the streets ever again. He’s so excited about how he is changing into a new person. At the rescue, this client makes and serves meals for 300 people daily and is looking forward to working as a chef as part of a halfway house graduation program in a few months. I shared with him the difficulty of late, and he encouraged me to stay the course. The Bible tells us to count the cost of following Jesus. I think many come to know what that means over time. But if I am to count the cost, then I also insist on tally the rewards. Store your treasure in the Kingdom is good advice, and phone calls like this one help keep the Kingdom balance sheet in the black. Thanks And Glory Be To God!